One thing that makes a trader successful is when you get inspiration from people who made it big in this business. People like Paul Tudor Jones, Ed Seykotta, Michael Marcus, Bruce Kovner and Timothy Morge are among of the traders who made it big in the industry. 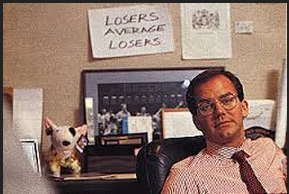 Paul Tudor Jones has a documentary video that showed how he tripled his money during the 1987 Crash. It showed how his predictions made him a billionaire. The video was shown on YouTube at the end of July 2009 but was taken down due to copyright violation issues. The bid for the video in the internet starts at $295. The video director, Michael Glyn, said that Jones himself asked him that the documentary be removed from the circulation. There are few copies exist after a public television shown in November 1987. His capabilities are diversed, including global micro trading, fundamental equity investing in the US and Europe, emerging markets, venture capital, commodities, event driven strategies and technical trading systems. Also one thing that he learned from trading is the importance of money management that makes the difference to your bottom line and trade psychology being the key to make it big in this industry.